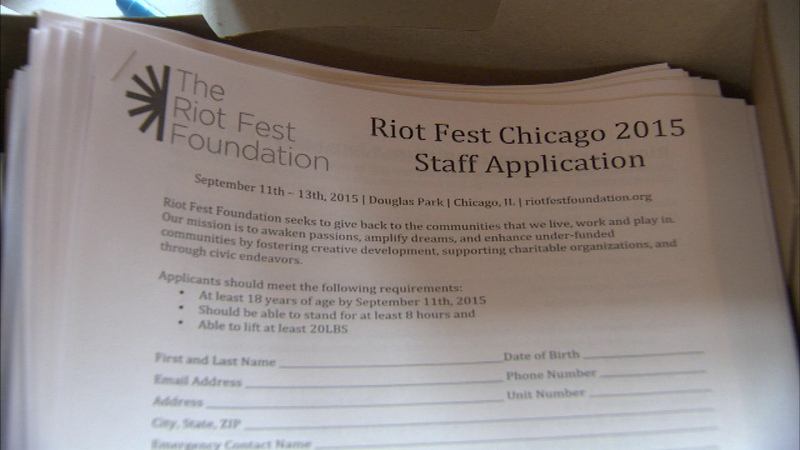 CHICAGO (WLS) -- Riot Fest organizers are holding a job fair to find about 150 people to work the three-day music festival in Douglas Park in September. Riot Fest organizers are holding a job fair to find about 150 people to work the three-day music festival in Douglas Park in September. The two day job fair got underway Monday at the Douglas Park Field House at 1401 South Sacramento Drive. It will be open until 8 p.m. Monday. The job fair will continue on Tuesday from 3 p.m. to 8 p.m.